Boxing is a fighting sport between two martial artists held in many major congresses around the world, including Olympic. This sports only allows hand-to-hand attacks combined with moving legs, head, and body. Boxing has become an inspiration for Reliance Big Entertainment to release Real Steel World Robot Boxing (MOD Unlimited Money). In this game, the boxers on the arena are not ordinary athletes but they are transformation robots like in the Transformer series. 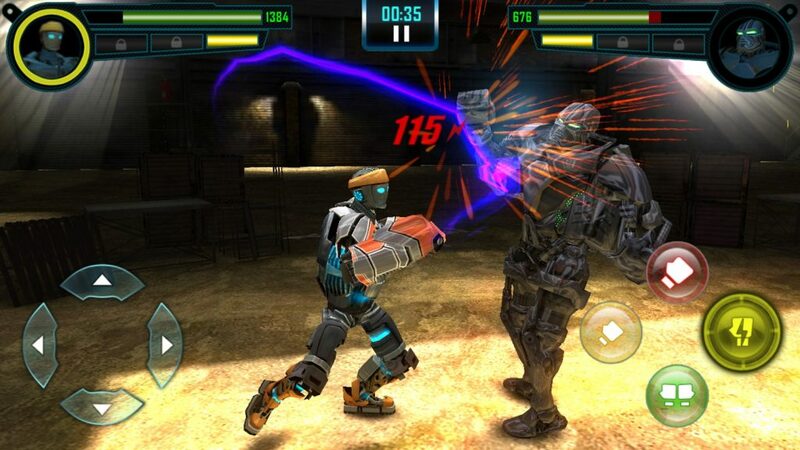 This game is the next part of Real Steel series, which has now reached more than 50 million downloads on Google Play. In addition, Reliance Big Entertainment has released many exciting fighting games, most notably WWE Mayhem. Welcome to Ultimate World Robot Boxing Champion, the tournament for the most powerful robots in the galaxy. The goal of all martial artists when participating in this competition is to defeat Zeus – the champion of the WRB. He has never been defeated, but nothing is impossible. The gameplay of this game is nothing new compared to the same games. 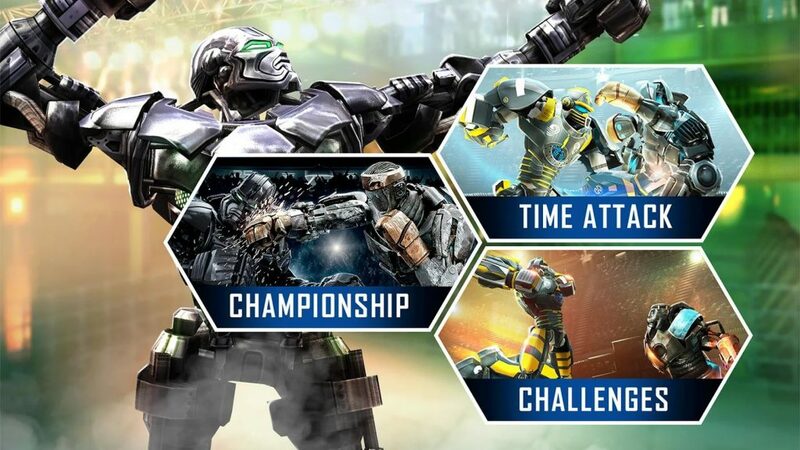 In Real Steel World Robot Boxing, you will control a robot, fight and defeat each opponent to aim for the championship. The game control is touch & sweep style, which means you only need to manipulate controls to touch and swipe to control moving characters while attacking opponents. Some skills you can choose are punch and defense (use two hands to block the opponent’s attacks). After you fight for a while, your energy bar is full indicating that you can use the ultimate skill. At this point, the game will switch to the epic action scenes between the two robots, feeling like I’m watching a part of Transformer movies. Sometimes, Real Steel World Robot Boxing gives you suggestions for you to know what to do next. But doing each move according to the instructions is not enough, you need to know the combination of attacks to create continuous combos. When the game ends, there will be a winner and one fighter who knocked out, do you want to be the winner in this game? Not stop there, the game allows you to customize and upgrade your robot. Paint Shop is a place where you can freely create unique colors for robots. Not only is the champion in the tournament, but you can also be the champion in style. Career mode is where you build your boxing career from amateur to the champion of World Robot Boxing. Besides, you can challenge your friends or other players across the globe by joining Multiplayer (connecting with friends via wifi and Bluetooth). Beat them and win the top in ranking. In addition, Real Steel World Robot Boxing has many other interesting modes waiting for you. Don’t miss! Real Steel World Robot Boxing possesses stunning 3D graphics with voyeuristic action scenes, realistic to every detail. The image quality and effects of the robot are extremely flawless. With realistic sound, you can feel the weight of punches launched by giant machines. When playing this game, I feel like watching a battle between Optimus Prime V Megatron rather than a mobile game. Within the limits of an article, I can’t say all the great things about this game. 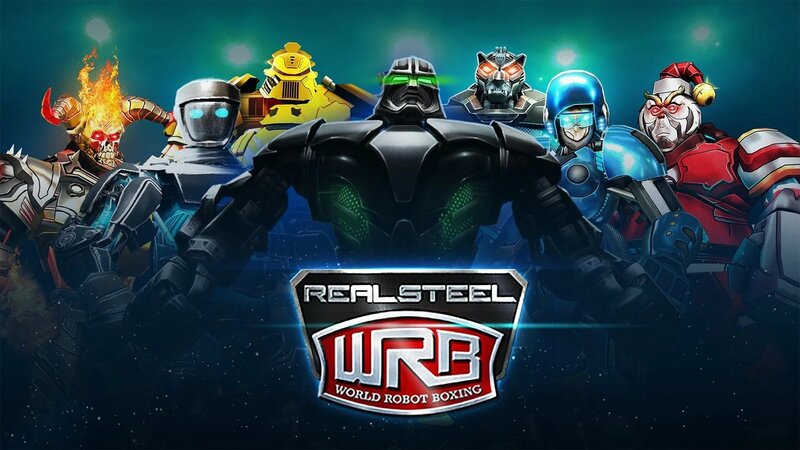 If you like fighting games on mobile, Real Steel World Robot Boxing is a game that you cannot ignore. This game is free for both iOS and Android operating systems, you can download it via the links below. 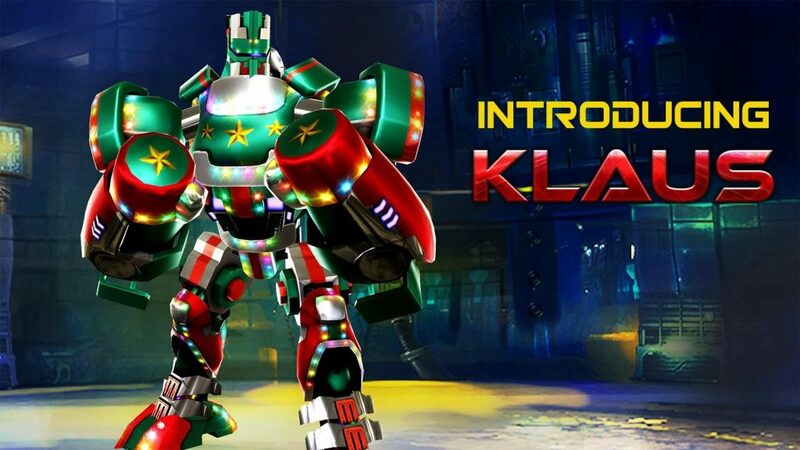 Real Steel World Robot Boxing MOD APK is ready to download! 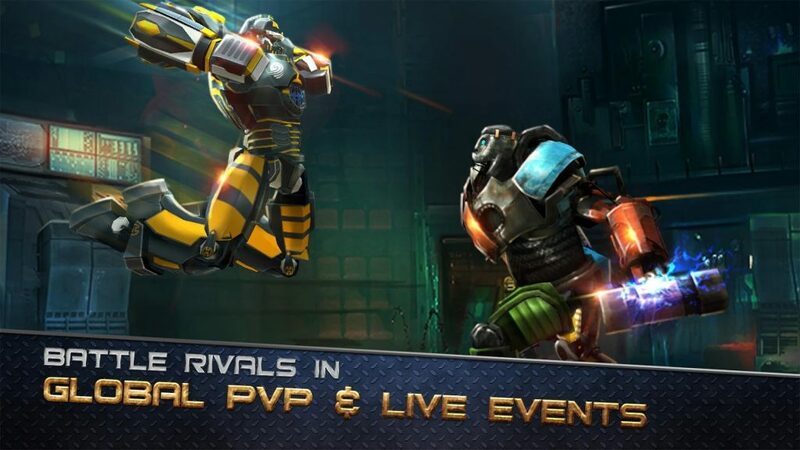 Depending on your needs, you can download Real Steel World Robot Boxing MOD APK or Real Steel World Robot Boxing Original APK. Or install from Google Play / App Store if you want.